WANTED, White NOS rear mudguard for a 1981 yz80h, the 1982 yz80j is also the same, any help much appreciated. Wanted: 1987 KX500 and Cr500 NOS frame covers, front number plate, front fender, rear fender, chain guard. anything NOS. 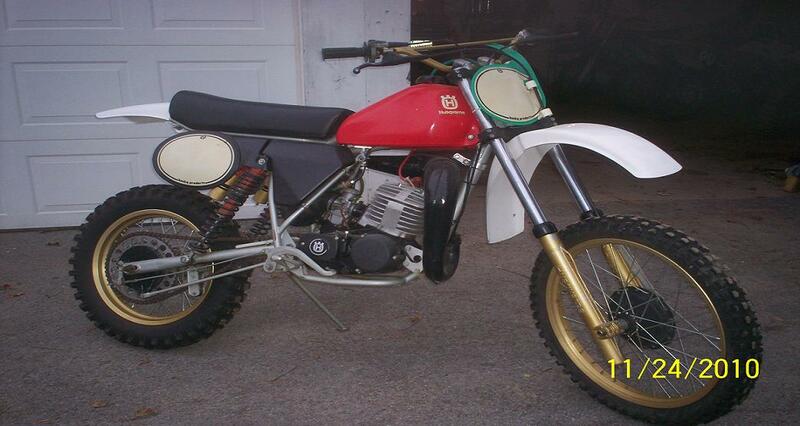 i'm looking for nos or very nice 1982 honda cr80r rear mud guard. 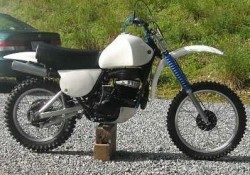 For sale: '74 Yamaha TY 175 trials bike. Very good condition cosmetically and mechanically. IRC radial tires; Renthal bars; trick Domino throttle; Sammy Miller pegs; DG silencer. Ready to trail ride or compete in vintage trials; $1275. 1975 GT-80 pipe Yamaha, may fit the GTMX 80 too!, screw on to cylinder fitting. $10. 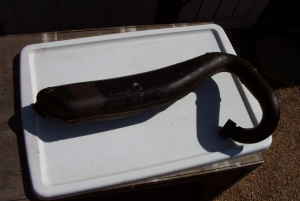 Looking for a good pipe fo a 72-74 Suzuki TS 400. 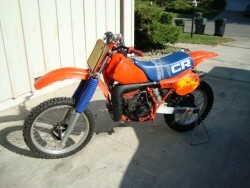 I bought this bike from Bill Eyler (East Coast Maico) for Carlos Serrano. It was originally built by Lynn Williams and was a race and show winner and a magazine cover bike when he owned it. After I got the bike from Bill, Carlos went through it, dyno’d and set up the Ohlins piggyback reservoir shocks, and installed new Renthal bars, new front and rear fenders, and a complete set of new stickers. Carlos really likes the bike, but is partial to the '81 490 he has been racing more recently. That was also the last factory bike he rode for Maico in Europe and in the US. So we have decided to sell this bike. We really were not looking for a 250 at the time, but when I saw this one the market, it was so special that I pulled the trigger quickly so I would not lose it. The bike has had only very limited testing time and no races since Carlos went through it. It is a real show stopper and ready to continue winning races. There is no nicer Maico out there. Photos available. 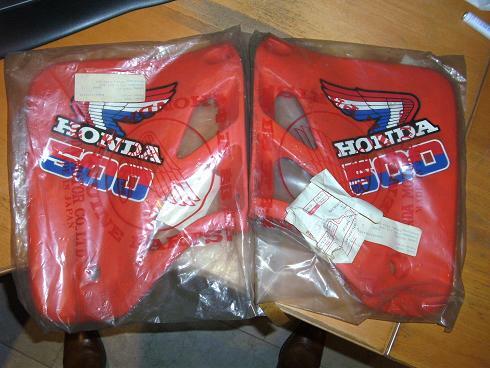 do you a factory NOS set of rad shrouds and frame covers, gas tank for an 87 cr500? 1983 Honda CR 480 AHRMA Vintage Race Bike. Good condition, new rear tire, origila plastics, I have a new seat cover. great winter restoration project. $1250. Hi guys. I need to clean the garage out. I have a front wheel complete, with good tire and new wheel bearings for a 1987 YZ 490. $50.00. Swing arm with bolt great shape, $25.00. Forks, with trees, $25.00. Mono shock good damping, no leaks, $25.00. DC front and rear fenders for CR 480, $20.00. 83 YZ 125/250/490 front fender, $10.00, 1980 CR 125 piston and rings OEM Stock Honda, $40.00, More to come.... Have a great Thanksgiving everyone! 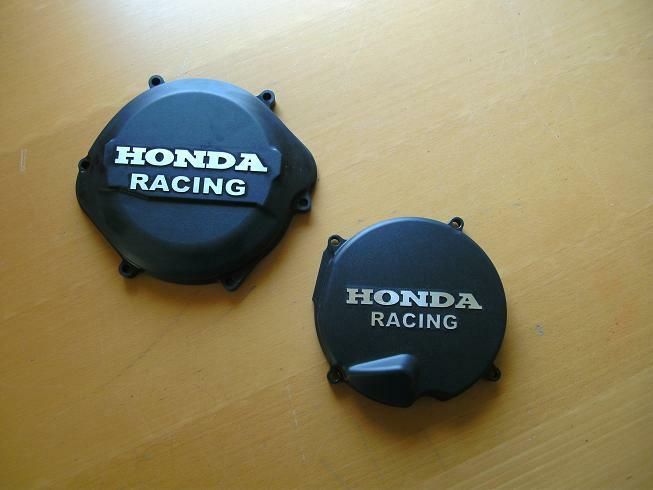 Wanted Honda 4 stroke eng. aftermarket framed MX racer. Prefer pre 74. consider all. Have following bikes to trade. 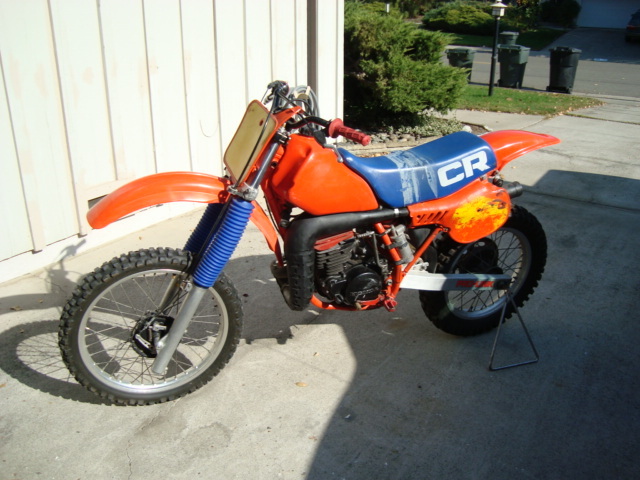 Restored 79RM400, Restored 83CR480, Original 74 Montesa VR250, 02 KTM200exc. Prefer east coast. Very cool and rare Profab swingarm with floating brake kit. Circle Industries vented aluminum gas cap. Rare (and straight) aftermarket vintage bash plate. New tires, tubes and rim strips. 1976 IT400 front forks with air caps and new gators. IT400 rear axle and chain adjusters. New transmission fluid and fork oil. Wheels are round, true and tight. $1500. Call Bill at 540.312.2992 anytime. Pair of 74 Hodaka Super Rat 100's. Enough parts to make one nice bike w/ spares or just shy of two bikes.